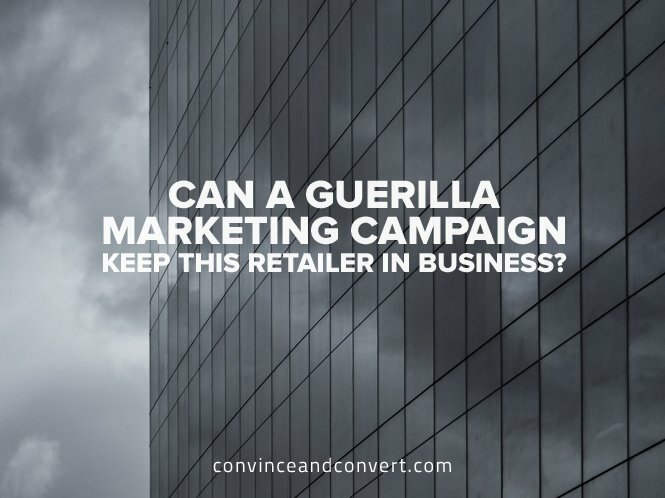 Can a Guerilla Marketing Campaign Keep This Retailer in Business? With 11,000 jobs at stake, iconic British retailer British Home Stores (BHS) laid it all on the line with a bold guerilla marketing campaign to save the company from going out of business. Called #SaveBHS, the multi-media campaign incorporates social, digital, public relations, and even illuminating popular UK landmarks. Launched in mid-May, the company started by wrapping its home office in London’s Marylebone neighborhood with an image of the Union Jack and copy which read, “Come On Britian, #SaveBHS.” The 88-year old retailer and once High Street favorite has been unable to find a buyer for its 163 shops. In addition to covering the exterior of its corporate headquarters with signage, the company projected 100-foot-tall images of #SaveBHS on popular landmarks throughout the UK and London, including Marble Arch, Wellington Arch, and Blackfriars Bridge. The company also reportedly tried to project the imagery onto iconic Big Ben, but was stopped by the police. “We ask that everyone join us in support of British Home Stores, tweet, or Instagram us with your messages using #SaveBHS. We do not intend to go down without a fight,” Holdway said. While the campaign was both bold and innovative, the looming question is: Is it enough to #SaveBHS? A statement on the BHS corporate website is not optimistic, calling out that negotiations to find a buyer for the business have been unsuccessful, but are ongoing. The news media mostly reports a similar story, with a few articles offering a glimmer of hope. There’s no putting it politely; this is a very difficult and sad situation. However, there is something to be said for BHS’s willingness to make a very public final awareness push and attempt to save its stores and jobs.